Being a bit of a oneworld devotee, when heading over to the US from the UK, there’s pretty much only a choice of American or British Airways. 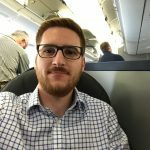 I’ve written a fair bit about British Airways recently, so felt I should cover the other major partner in the transatlantic joint business agreement, American Airlines. 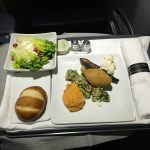 A few months ago, American had a good business class fare from Manchester to a few places in the US, including San Antonio, TX. It was a fairly random set of destinations, however had a few good friends in Houston, TX, a couple of hours drive away so decided to book it for my birthday weekend. For the outbound flight, I my routing was Manchester, to New York JFK, to Dallas Fort/Worth and then finally down to San Antonio, TX. The first transatlantic sector from Manchester to New York was scheduled to be operated by a Boeing 757, which AA calls a 75L. I actually don’t mind these aircraft which while getting on in age, aren’t too bad in business class, with one important proviso. They are currently going through a refit from the old angled lie-flat product to a properly flat seat. AA are very clear on their website though that all the aircraft are refitted, which isn’t actually the case as this very helpful website lists. Unfortunately my flight according to Flightradar24 was due to be operated by one of the older aircraft with the angled seats. At check-in I enquired about a re-route due to this, and they agreed, rebooking me via Philadelphia on one of their Airbus A330-200 aircraft which does have a fully flat seat. However I didn’t fully pay attention as I didn’t notice until I was in the lounge that I’d be getting in almost two hours later. American uses the British Airways Galleries lounge in Manchester Airport terminal three, of which there are many reviews of online. Being a BA product it’s fine for a short wait, with a good selection of breakfast items, and drinks should you want some. 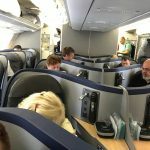 Boarding was called and turned left into the fully occupied A330 cabin. 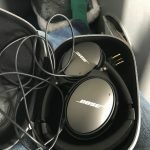 Already on the seats were a pillow and blanket, cellophane wrapped, plus a pair of excellent Bose QC30 headphones, an amenity kit and the menu. The staff came around with sparkling wine, juice or water. Soon boarding was complete and there was a short taxi to the take-off runway. A few minutes later, the crew came around to take meal orders. 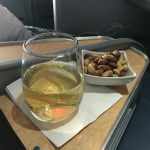 I opted for a glass of Champagne with my mixed nuts to start, and then chose the lamb for my main course, with a glass of the Californian red wine. The starter salads actually weren’t very good – it’s quite challenging to mess up a salad, but the lettuce didn’t appear very fresh so left the majority of it. 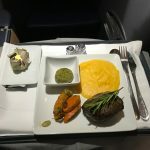 The main course lamb wasn’t actually too bad, however was overcooked and a total world away from the incredible lamb that Etihad served me on the way to Abu Dhabi. The red wine was equally poor though! For dessert, I opted for the ice cream sundae which was pretty good. They served it with a bucket of Courvoisier which helped me to sleep for the next few hours! 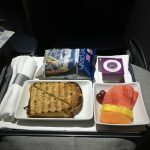 I woke up about ninety minutes before landing where the served a second meal consisting of a hot sandwich, packet of crisps (chips), some fruit and a chocolate pot. I only managed to eat about half of it, as it was quite substantial, however not terribly premium. 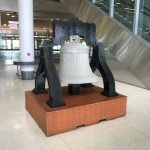 After landing it was a very short taxi to the gate, before the US immigration facilities, made much easier by Global Entry, and then the walk round to the security check to return airside for my connecting flight to Dallas. There did seem to be an earlier service, however the AA standby rules are a bit of a mystery to me. As I’d been re-accomodated and re-ticketed by the agents at Manchester, I asked if I was able to get the earlier flight, but despite there showing availability on that service (it showed J1), he was only able to put me on the standby list for economy. 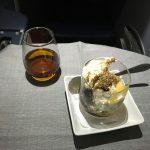 Oddly, they had even upgraded two economy class passengers into first class at the gate, which seemed strange that they wouldn’t want to re-accomodate someone on a paid business class ticket first. 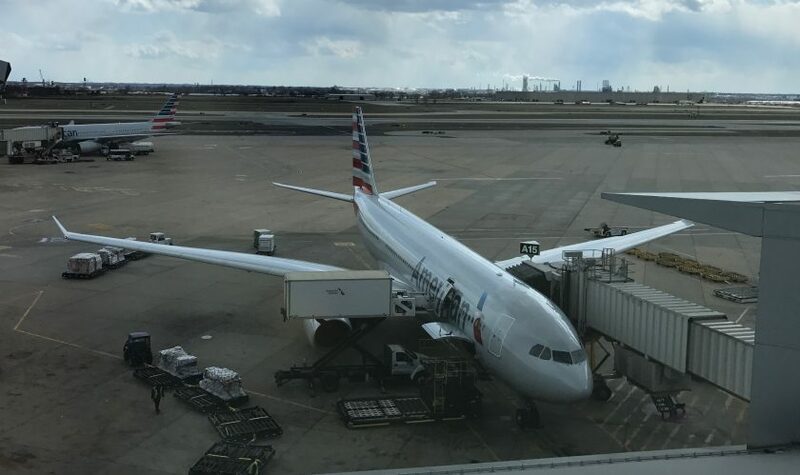 As it was a three hour flight down to Dallas, I decided to wait for the later flights and had a rather uneventful trip down and connection at Dallas to San Antonio. I guess overall I was struck by a few things. 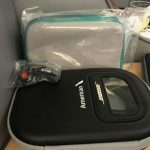 Firstly that a lot of people in AA don’t know their own products, and they’re willing to send sloped seats across the Atlantic, thinking that it’s acceptable. It’s very much not. The second point is that the cabin crew were very much going through the motions. 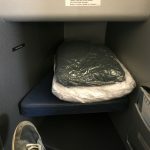 I’ve had some great AA cabin crew before, but these ones did the bare minimum, albeit in a friendly enough way. 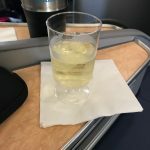 Finally, that the whole upgrade process for elites at the gate is a bit rubbish if you’re actually on a paid business class ticket. 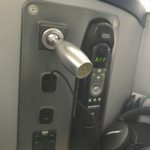 I fully agree there needs to be a standby priority list, based on a set of defined criteria, but it seems strange to upgrade people before accommodating those in their ticketed cabin. So overall, I’ll certainly fly AA again, but there’s a lot they still need to do. Previous Post: Planning. How to get to your Atlantis Cruise. Next Post: Pride travel news roundup.